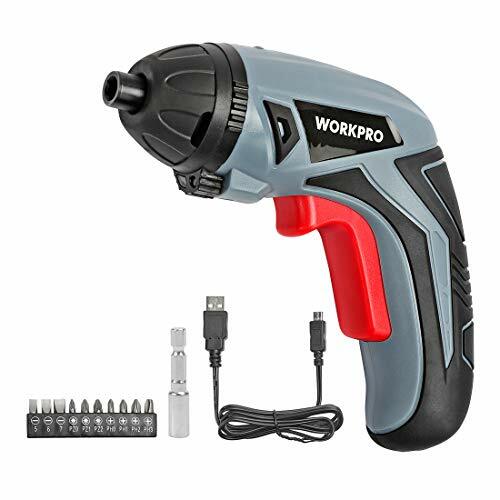 The cordless screwdriver comes with 10pc 1" bits and 1pc 2" extension bar to meet different your various of needs, battery level on the top of the tool to show whether the charging is ready.With forward / reverse rotational function to change the direction of operation conveniently.Soft grip handle for added comfort and total control without heavy fatigue while using. Double efficient for home projects. Ideal to choose. Quick-change machanism:magnetic bit holder for quick release and insert,chuck capacity is 1/4"